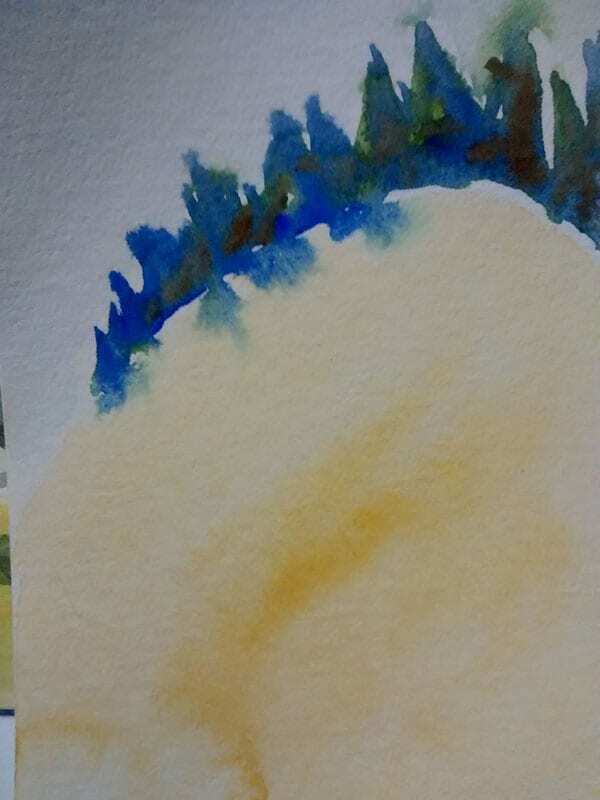 Playing with watercolors and my postcards today. 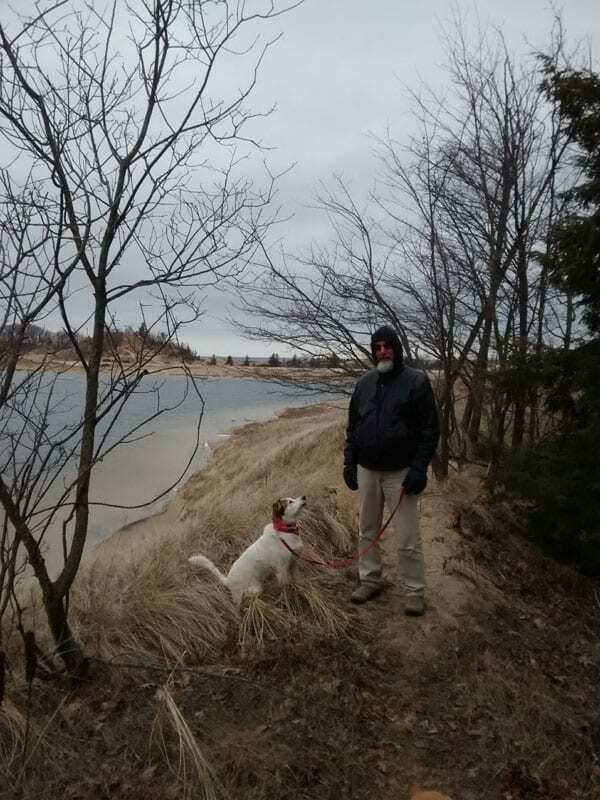 Steve and I walked the dogs out by Piney Ridge Road in the Ludington State Park. It was windy and kind of cold but we didn’t mind so much. It sure is pretty out there. At first Steve was worried about what we’d find. Sargent Sands Co. has been mining a lot of sand out in the dunes and we wondered if there’d be anything left of the pretty little lake and dunes but hurray, it was all still there and just as beautiful as when we left it ten years ago. The dogs stayed busy sniffing deer hoof prints, I took a lot of pictures to use for watercolor studies later. We even saw a couple of other hardy souls out there, metal detecting at the water’s edge. I love walking around out in the woods and in the dunes. It’s quiet this time of year. You can see forever because there aren’t any leaves out yet. The forest floor is dark with dead leaves. 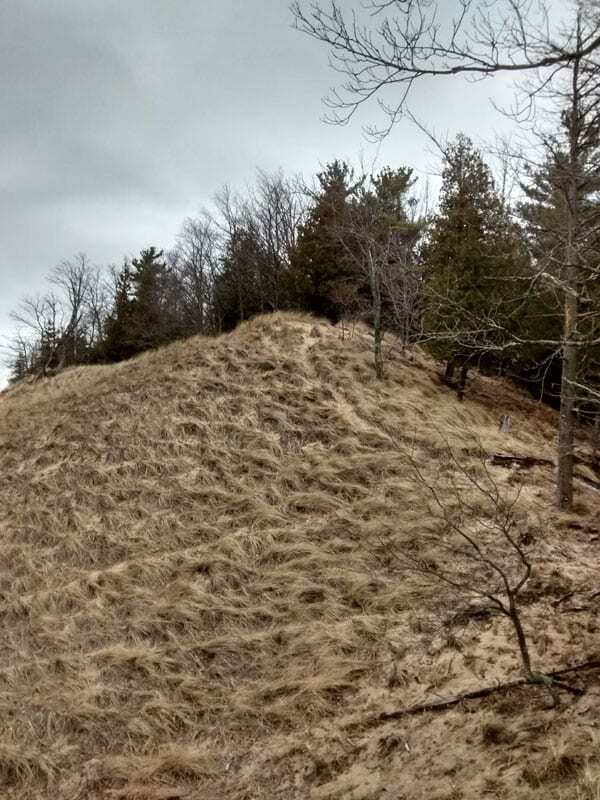 The dune grass is blonde colored and shivering in the wind. 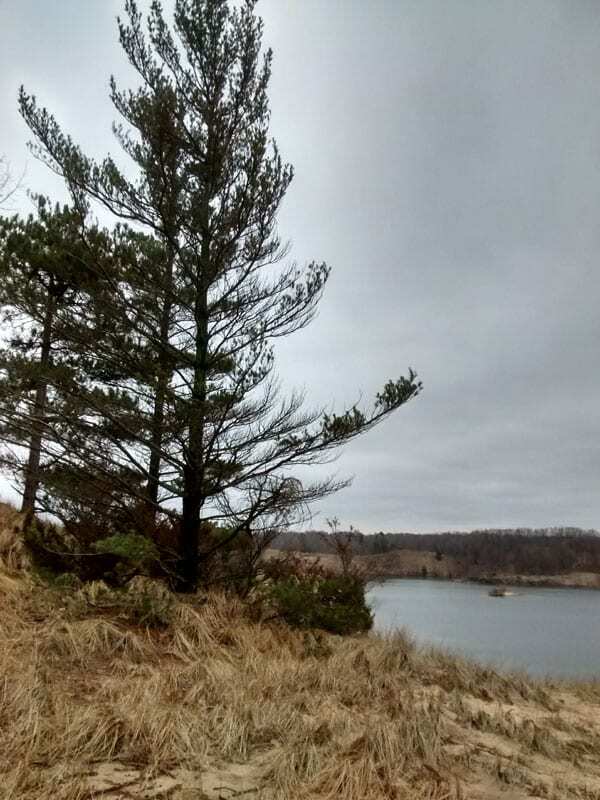 Pines overlooking the little lake behind the dunes. Steve looks cold, doesn’t he? Daisy is ready to go, as always. I love the way the wind ruffles the grass on the dunes. And here are my attempts to capture what I saw today. Meh, but I’m not worrying. They’ll get better as long as I keep practicing. You can see where the blue and green got away from me. I like the shape of the dune, the trees marching over the crest and the overall composition. If I cropped it on the left, the composition would be stronger plus I need to work on more than one at a time, if only to give the paint a chance to dry between colors. 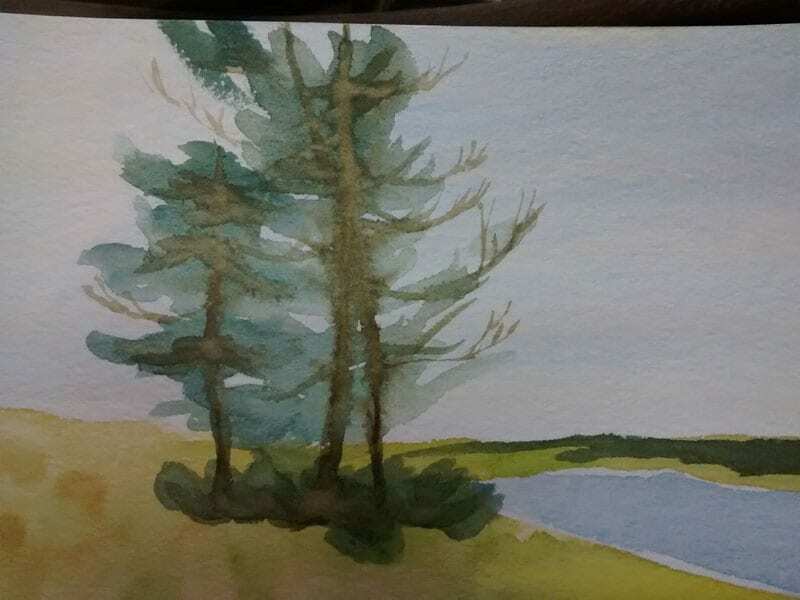 This entry was posted in watercolor and tagged dune grass, dunes, ludington state park, Piney Ridge Road, trees, woods on March 25, 2017 by Marie Marfia.